Hi everyone, happy Halloween! 11 AM and struggling not to doze off, even with espresso. Stayed up late last night to watch Abbott and Costello Meet Frankenstein (1948)…I have to say, it’s like watching Scooby Doo in black and white! There was a lot of running from Dracula, mostly within an eerie castle upon the sea. Anyway, it’s been a week since my last “below the top 1000” post! This selection includes names given to 20, 21, or 22 boys in the U.S. in 2015. If you’re tuning in for the first time, welcome! I write these posts weekly; next week will include girls’ names in the same range. The data comes from the Social Security Administration, which publishes America’s most popular baby names every year, plus rare names down to 5 uses. Happy Halloween! I don’t think there are many things scarier this year than the looming election or killer clowns, but that doesn’t stop me from reminiscing about simpler times when the scariest item was the friendly neighborhood Grim Reaper, who’d still give you candy. Here is an eerie selection of Halloween-themed baby names, mostly from movies or the bounties of trick-or-treating! Almost all were used in the U.S. in 2015; data comes from the Social Security Administration. Kit – 40 boys, 28 girls. Kit-Kats, anyone? Mars – 27 boys. Mars is a delicious British chocolate bar not very well known in the U.S., but some groceries carry them in the international aisle. Reese – #173 for girls, #701 among boys. Reese is an anglicized spelling of original Rhys, which is Welsh. Reese also gives its name to the peanut butter cup and Reese Witherspoon. Morticia – Under 5 in 2015, but 5 were born in 2014. Tully – 8 boys. Tully was the family’s lawyer. I’d love to meet a Gomez, though I doubt that will happen anytime soon. 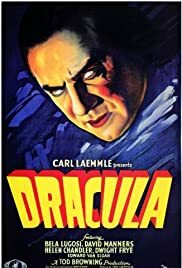 I finally saw Dracula (1931) this weekend. Bela Lugosi had a serious troll-face going on; someone get him a Guy Fawkes mask! Bela – 16 girls, 7 boys. Actor Bela Lugosi was *the* stereotypical Dracula. Bela is an Eastern European men’s name. When given to girls, it’s more likely a variant of Bella. Mina – #761 among girls, plus 20 boys. And what’s Halloween without a little Hocus Pocus (1993)? Thackery – 8 boys. For the longest time I thought Binx’s first name was Zachary, but in fact it’s Thackery! How fantastic! Winifred – 156 girls. Winifred Sanderson is sister to Mary and Sarah and very much the head witch of their group. Since I’m writing this on the eve of Halloween, I must also mention The Crow (1994). That movie gave us the name Draven, which still ranks in the top 1000 (currently #861) over twenty years later. Apple – 14 girls. Whether you’re bobbing for apples, imbibing cider, or Snow White on her way to bed, your Halloween festivities may include this fruit. Jack – #40 for boys. Have you ever made a Jack O’Lantern? Like any of these names? Are there any I’m missing? Let me know in the comments! Do you love the brevity of Max and Ada, but think they’re too popular? Here’s a list of rare, tiny names comprising only two or three letters! Aoi – 8 girls. This is a Japanese name. Axe – 8 boys. Hopefully the kind Gimli offers to Frodo and not the body spray. Either way, it’s a weapon! Bay – 58 girls, 11 boys. Include this with other spice names like Cayenne and Paprika; Old Bay is delicious. Blu – 14 boys, 9 girls. When Blue isn’t blunt or artsy enough. Bly – 5 girls. Nellie Bly was a famous investigative journalist. Bob – 14 boys. Nowadays this is more of a meme than a name because of how generic it is. That, and Bob the Builder. Dat – 9 boys. Dat name tho. Dev – 105 boys. It seems that “Game Dev” gives us the latest professional name, joining Taylor and Sailor. Emi – 166 girls. Standalone Japanese name, but could also be a nickname for Emily. Fox – 193 boys, 6 girls. Makes me think of Joe Fox and his bookstore from You’ve Got Mail. Gal – 6 girls. If Guy has a twin sister, I think we’ve found her. Though, I bet you could make Gal short for Galadriel! Gem – 8 girls. A literal gem name, or maybe a nickname for Gemma. Han – 22 boys, 19 girls. Considering how blatantly Star Wars this name is, it’s really surprising that so many girls have the name. Ida – 159 girls. Once in the top 10, Ida hasn’t even been in the top 1000 since the 1980s. Here’s hoping for a revival! Ibn – 16 boys. Arabic word meaning “son,” precedes a man’s father’s name. Equivalent of Latin “filius,” Hebrew “ben,” or Welsh “ap.” I wonder whether any parents of Ibn’s actually intended it as a first name. Ike – 93 boys. “I like Ike” is a famous presidential campaign slogan. Io – 6 boys, 5 girls. According to mythology, Io was transformed into a cow because Zeus took her as a lover. Naturally, the quintessential problem in all Greek myth is Zeus’ romantic escapades. Ion – 11 boys. Ion is a good choice if you like particles or Plato. Ira – 196 boys, 97 girls. Biblical name! Ivo – 15 boys. I play enough Crusader Kings II to be reminded of an obscure 11th-century Norman named Ivo de Taillebois. Needless to say, Ivo is an old name. Depending on the origin, it’s related to either Yves or Ivan. Jo – 27 girls. Jo March is a character in Alcott’s Little Women. Job – 87 boys. Something we all need. As a name, this probably references the Bible character, and is pronounced more like the name Joe with a ‘b’ at the end. Jr – 29 boys. Jr, Jr. Uh oh…unexpected Jar Jar Binks! Kal – 55 boys. Not like Cal or Calvin…more like actor Kal Penn. Kc – 27 boys, 15 girls. Usually this stands for something. I don’t know what KC is these days, but when I was in high school and college the ‘c’ almost always stood for Casey, regardless of gender. Kia – 15. Car names! Kim – 71 girls, 11 boys. Koi – 22 boys, 18 girls. I never thought of fish as a namesake, unless you count Marlin and Nemo. Lex – 67 boys. Although Lex is traditionally short for Alexander, most people probably think of Lex Luthor. Md – 27 boys. I initially thought about doctors when I saw this, but now I wonder if this is shorthand for Mohammad. Traditionally, common men’s names had truncated written versions; i.e., William was sometimes Wm, Jonathan was Jno, etc. Nil – 10 girls, 5 boys. A tad nihilistic, don’t you think? Nox – 15 boys. Latin word meaning “night” – therefore equivalent of Nyx. Nox is also a spell in Harry Potter, which is used to end a Lumos charm…that is, to put out the light. Nyx – 16 girls. Nyx is the Ancient Greek personification (goddess) of Night. Perfect for Halloween? Paw – 17 girls. Genuinely interesting…wonder where this comes from? Poe – 9 boys. Not too long ago I would have assumed Edgar Allan Poe was the namesake, but now Poe Dameron is a possibility! Ra – 9 boys. Egyptian sun god. Ram – 30 boys. As in the animal or RAM space? Ren – 71 boys, 12 girls. Rye – 39 boys, 8 girls. Could be a nickname for Ryan that’s influenced by Kai, but it undeniably reminds me of delicious rye bread. Hmm…scratch off “Reuben Rye” and “Rye Reuben” from the list of usable name combos. Tam – 10 boys, 9 girls. Von – 45 boys. I’m just imagining a trip to a German-speaking country and having to explain that Von isn’t the first part of a surname. Vy – 27 girls. Short for Viola or Violet? Win – 5 boys. Could be used as a nickname for Winston or Winslow. Zia – 128 girls. Italian word for “aunt,” but as a name might be a variation of Sia or Xia. Zo – 14 girls. Basically, Zoe without the invisible umlaut. What do you think of these names? Let me know in the comments! Hi everyone! I realize I haven’t written one of these posts in a couple of weeks. Luckily there are so many names here that I think they cover the gap! Here are some of the names given to American baby girls in 2015, according to extended data from the Social Security Administration. The following first names are quite rare, and were only used between 23 and 26 times. What do you think of these names? I think my personal favorites are Celestina, Florencia, and Gertrude! Lynn is an extremely trendy and popular element for American baby names this decade. The vast majority of the 446 ‘Lynn‘ names listed in the extended data in 2015 were given to girls, though that’s not counting the ‘Lyn‘ names (which, including the Lynns, totals at 1054 names). Lynn itself is a mid-century unisex American moniker which hasn’t been popular among either gender in a few decades. In 2015, only 82 girls and 16 boys were called Lynn. The majority of Lynns are probably grandparents now, since peak years were in the 1940s and 1950s. By the time I was growing up in the new millennium, Lynn was mostly a filler middle name like Marie or James. In the past 5-10 years, Lynn has migrated back towards the front. Today you’ll often find it as the second part of compound names like Adalynn (#123) and Emmalynn (#697). Several patterns govern currently popular ‘lyn‘ and ‘lynn‘ names. A few are classics like Evelyn and Gwendolyn. More are spelling variations of classics, evidenced by the many spellings of Adeline and Madeline. Several versions of Caitlin are still popular. Then there are the compounds like Grace+Lynn and Ava+Lynn. Some of those compounds can also be variations on older names, like Emma+Lynn for Emmaline/Emmeline and Rose+Lyn for Rosalind/Rosaline. Also notable are the feminine forms of Jalen (#587) such as Jaelyn and Jaylynn, the one male ‘lyn‘ name (Flynn), and place-name Brooklyn (which is unisex in the U.K.). Ailyn: 235 girls. Possibly a variant of Aylin (#367) or Aileen (#515). If both of those rise in 2016, don’t be surprised to see Ailyn in the top 1000 too. Rilynn: 234 girls. Riley is popular for both genders, ranking #35 for girls and #194 among boys. Sherlyn: 221 girls. This actually fell out of the top 1000 in 2015; Sherlyn‘s popularity was somewhat volatile. Skylynn: 186 girls. For when you enjoy nature and ‘lynn‘ names! Carlyn: 175 girls. Daughters of George Carlin fans, I bet. Aislynn: 158 girls. Irish Aislinn debuted in the top 1000 in 2015. Irelynn: 100 girls. Variation on Ireland. Harlyn: 76 girls, 9 boys. Azlynn: 74 girls. Could relate to Aislinn or Aslan. Aaralyn: 72 girls. This might actually be a feminine form of Aaron. Daelyn: 65 girls, 38 boys. Scotlyn: 64 girls. Variation on Scotland. Oaklynn: 57 girls. Oakley + Lynn or Oakland. Catelyn: 47 girls. Obligatory Game of Thrones reference. Locklyn: 31 girls. Feminine version of Lachlan. Klynn: 28 girls. Kaylynn without vowels. Magdalyn: 25 girls. Distinctive variant of Magdalen and Magdalene. Lyndon: 25 girls, 153 boys. As in President Lyndon B. Johnson. Brielynn: 19 girls. I like cheese – do you like cheese? Breslyn: 17 girls. Probably inspired by actress Abigail Breslin. Edlyn: 16 girls. A modern way to honor an Ed? Gatlyn, 16 boys. As in Gatling guns. Timberlynn: 16 girls. What the logger calls his daughter? Preslyn: 13 girls. Presley ranks #187 and will likely continue to gain popularity. Copelyn: 11 girls. Aaron Copland was a famous American composer. Merelyn: 10 girls. Variant of Marilyn or Maryland. Llewellyn: 8 boys. Ancient Welsh name. Portlyn: 7 girls. Variation of Portland. Bellalynn: 5 girls. Possibly a double-barrel name (i.e. Bella-Lynn), but the SSA doesn’t count those. Crystalynn: 5 girls. People are punny. Jekalyn: 5 girls. Should we expect Hydalyn next? Joplyn: 5 girls. Could refer to Joplin, Missouri or ragtime musician Scott Joplin. Lynnmarie: 5 girls. When your first name is two filler middles, what kind of middle name would you have? Lynnmarie Ann doesn’t sound that great…but Lynnmarie Georgiana would work! Lynx: 5 girls, 12 boys. Kitty! Mandalyn: 5 girls. For the music-lovers. Palyn: 5 girls. Political Lynn. Thailyn: 5 girls. More likely a variation of Thailand, but possibly also Tylyn. One thing that intrigues me about the names towards the bottom of the barrel is that parents are making a trend out of taking place names ending in “-land” and putting “-lynn” endings instead. Do you have a favorite ‘lyn‘ or ‘lynn‘ name? Let me know in the comments. An acquaintance recently named their son Thanos! Thanos is traditionally short for Greek Athanasios, which means ‘immortal’ or ‘without death.’ On the other hand, you can probably make it a nickname for Thanatos, which does mean ‘death’ and was the Ancient Greek personification/minor god thereof. Ultimately, all of these names are rare. Recent appearances of Thanos in the extended data don’t necessarily correspond to religion or heritage. This name benefits from the Marvel treatment. Thanos is basically an evil space alien who looks a bit like Azog from The Hobbit – if Azog were built like a football player, that is. Thanos has a cameo in the Avengers (2012) and then shines in 2014’s Guardians of the Galaxy and 2015’s Avengers: Age of Ultron. With the Marvel Cinematic Universe as popular as it is right now, that’s a lot of exposure for a rare name. According to data from the Social Security Administration, Thanos was the first name of 12 baby boys last year, up from 5 in 2014. I find it interesting that Athanasius also peaked in 2015 at 16 uses, up from 5 the previous year too. Original Greek Athanasios was down from a few years earlier at 18 uses. It wouldn’t surprise me if the concurrent rises of Thanos and Athanasius are merely coincidental; one now strongly associates with a fandom and the other has deeply religious connotations. Catholics designate St. Athanasius of Alexandria as a “Doctor of the Church.” This begs the question: did anything significant happen last year with him? It isn’t impossible that Athanasius became more popular to conceal the Marvel connection, and it isn’t impossible that Thanos became more popular just because Athanasius was trending; but I don’t buy either theory by its lonesome. Neither explains why Athanasios is trending downwards. What do you think of Thanos? Athanasius? Do you think either will pick up more steam? Personal musings: I don’t think my acquaintance is Greek or particularly religious, but the baby seemed to have a middle name from another fandom. Sure, the Marvel character’s a villain, but my inner nerd loves this. Congrats on becoming a parent, and kudos for the epic appellation! Hi everyone! Ready for some rare names? If you’re new to my site, welcome! Once a week, I pick out some of the names in a particular range to present here. The data comes from the Social Security Administration, which releases the top 1000 most popular American baby names every year plus an extended list including every name down to 5 uses that’s at least 2 letters long. Today’s selection includes boys’ names used between 23 and 26 times in 2015. Names colored blue are overwhelmingly male in usage, purple are unisex, and magenta are overwhelmingly female. Thoughts on any of these? Laszlo has always been one of my favorites. I’ve just finished reading Jane Austen’s Emma. Normally I love anything Austen wrote, but this book was a chore. The first third of the story (Volume 1, actually) was unimaginably boring, and I perceived Emma Woodhouse herself as annoying. Amazingly, I persevered to Volume 2, at which point I started to enjoy it more. Having finished it (there are 3 volumes), I can actually say that I liked it…but for a while I hated it. This, coming from someone whose favorite book is Pride and Prejudice and who adored the obscure but deliciously scandalous Lady Susan. The character names were excellent but nearly as boring as I found Volume 1. Almost everyone was named some classic like Henry or Isabella. The only really unusual names of interest were Hetty and Augusta, but overwhelmingly there were few rarities. To be fair, most characters were referred by their surnames. So, why don’t we look at those and their usage? Bates: 8 boys in 2015. I considered Miss Bates was an interesting example of the Regency-era spinster. She’s not especially old, but is unmarried at a much later age than most women would wed. Her community regards her highly for a kind and optimistic personality, even if she tends to ramble. Campbell: 224 girls and 136 boys in 2015. There is some mention of a Colonel and Mrs. Campbell. Churchill: Under 5 uses in 2015, if any. Churchill hasn’t been used regularly since World War II (not that it was ever common), but it did appear in the extended data back in 2012. I am looking at American data, so there’s that too. However, I think Winston Churchill tends to be a more likely namesake than Frank Churchill. Speaking of which: Winston is experiencing a revival – he ranked #523 last year! Cole: 3475 boys (#115) and 14 girls. The Coles are a newly wealthy and up-and-coming family in Emma’s town who seem mostly to serve as social catalysts – i.e., they host parties. The name Cole always makes me think either of Cole Porter or Nat King Cole. Dixon: 70 boys. Mr. Dixon never actually appears except in passing mention, though one mention was apparently enough to upset Jane Fairfax. Elton: 62 boys. I can’t say I liked Mr. Elton very much, and I was even less fond of his wife. Even so, any child called Elton will surely be associated with Elton John long before the rude vicar. Fairfax: Unknown usage, though I did encounter one several years back who’s probably around my age. If you want some Austen-Brontë crossover material, I think Mr. Rochester’s second name was Fairfax. The most probable namesake, I imagine, is not literary but historical. In the 18th century, the 6th Lord Fairfax once owned over 5,000,000 acres of land stretching across what are now Virginia and West Virginia. Hawkins: 57 boys. Mr. Elton marries Miss Hawkins, who frequently errs and refers to Jane Fairfax by her “Christian name.” Proper protocol was to address her as ‘Miss Fairfax’; calling her ‘Jane’ was considered vulgar. Knightley: 8 girls in 2015. Although the book refers to Mr. Knightley and his brother Mr. John Knightley (with the one Mrs. Knightley often and simply designated Isabella), Americans usually treat this as a girls’ name. Knightley is even more modern than it is rare, having only officially entered the naming pool seven years ago. The sound and style of the name may be responsible for its usage, though curiously other Austen-related names like Fitzwilliam (8 boys) are very new to the data too. Martin: 1332 boys (#276). Emma soon persuades Harriet to turn down a proposal from Mr. Robert Martin and disastrously attempts to set her up with Mr. Elton. Perry: 139 boys and 87 girls. I believe Mr. Perry was the physician. Smith: 154 boys and 11 girls. Harriet Smith is an illegitimate child, which is one of the only things I found particularly interesting about the first third of the book. Weston: 3305 boys (#120) and 5 girls. Easily the most popular character surname from the story, Weston is taking off – possibly responding to the exponentially increasing popularity of counterpart Easton (#78). In a couple years, Weston could be a top 100 baby name! Woodhouse: Unknown usage. Emma’s surname hasn’t inspired parents in any decade. If any baby Woodhouses exist, they’re more likely named after Sterling Archer’s butler. Thoughts? Have you read Emma, and if so, how did you like it? At least her middle name is Rose, right? Now that I’ve collected my thoughts, my response is actually “bah humbug!” There are only a few names I will vehemently argue against, and Phelony is one of them. This daring name is a felony in every way except that which matters: legally. It’s America. You have the Constitutional right to name your child almost anything you desire. Don’t get me wrong. I’m proud of the fact that our naming laws are almost non-existent. Naming freedom truly lends to diversity and strengthens the 1st Amendment; it is an American value. Indeed, it would be very boring if everyone were named from a tiny pool of accepted appellations. That Calliope and Saoirse, and Godric and Alastair roam today’s playgrounds is fantastic. Phelony may very well grow up to be an upstanding citizen. Names don’t define their wearers. Though weirdly, someone named “Fellony” actually did commit one. Again, I don’t know how much her name affected her actions. If anything, it probably had more to do with upbringing or weird luck. I don’t know if this is the same Phelony from the birth announcement, but my Google-fu indicates there are probably a few of them out there. Not too many, thankfully, but one is enough to catch my attention. In case anyone is interested, the screenshot was found via a College Humor post called “25 Parents Whose Baby Naming Privileges Should Be Revoked.” Their words, not mine. I usually don’t follow College Humor, but when I told someone about the birth announcement he said he’d seen the name recently and that there was a screenshot somewhere online! I couldn’t help but look. Swistle (another name blogger) is my newest hero. I just found a post from 2008 in which she helped steer a family away from naming their child Felony. Looking at the screenshot, and the way they spell ‘felony’ – I hope that doesn’t mean that ‘Arien’ is actually ‘Aryan.’ I pray they aren’t white supremacists.